← A couple of new Central Station stories now out! To celebrate the release of Osama in mass market paperback this week, from Solaris Books (US, UK) – not to mention its nomination for the World Fantasy Award! 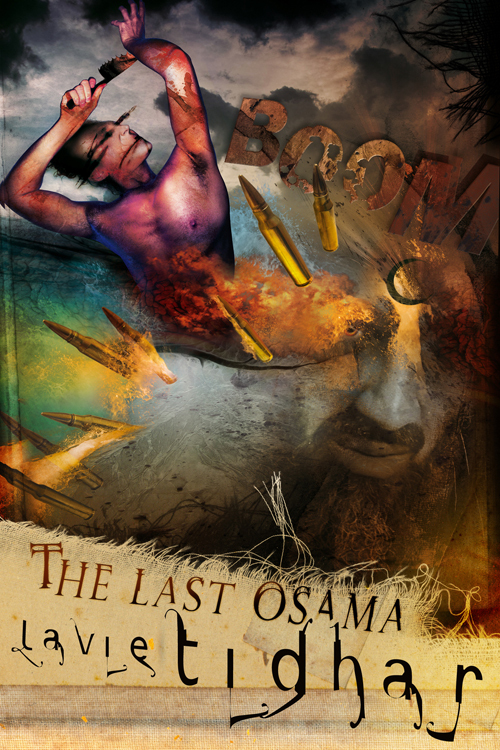 – I’m offering (for a limited time, at least) a free e-book copy of my novelette, The Last Osama, originally published in Interzone in 2011 (and forthcoming in Best British Fantasy 2013). The Last Osama explores the world after the capture of Osama bin Laden in the Abbottabad Compound on May 2nd, 2011. In a world profoundly altered by the death, a bounty hunter is hired by the remnants of an army to travel down the Euphrates. His mission: track down and eliminate the last of the Osamas. But how do you kill an idea? A postscript to Lavie Tidhar’s World Fantasy nominated novel Osama, written after bin Laden’s capture and two months before Tidhar’s novel was coming out, this is a surreal tale of meta-fiction and hyper-pulp as written by both Tidhar and his pulp alter-ego, Mike Longshott. 7300 words. The magnificent cover is based on Steve Hambidge‘s original illustration for the story from Interzone. You can see how Steve created the cover on his gallery blog. Or via Amazon UK: paperback, hardcover, e-book or audio. This entry was tagged free e-book, osama, osama bin laden, steve hambidge, the last osama. Bookmark the permalink. Ewww purdy lol. I really shouldn’t get a thrill out of seeing my own work, should I? Lavie, Have you ever read “Metro 2033” the English version??? I am very curious to know your thoughts/ opinions on it.